Bollywood superstar Salman Khan, convicted for 5 years in blackbuck poaching case, has always found himself at centre of many controversial cases. Blackbuck poaching case: Salman Khan convicted for five years in jail. What is the blackbuck poaching case against Salman Khan? The blackbuck poaching case dates back to the night of October 2, 1998, when Salman Khan allegedly shot and killed two blackbucks in Mathania village of Jodhpur. Accompanying him were actors Saif Ali Khan, Sonali Bendre, Tabu and Neelam who were accused of inciting him to poach the animals. What is the outcome in blackbuck poaching case against Salman Khan? A Jodhpur court on April 5 found Salman Khan guilty and has been sentenced for 5 years in jail. He was given punishment under the Wildlife (Protection) Act. Saif Ali Khan, Sonali Bendre, Tabu and Neelam were acquitted in the case. What is Arms Act case against Salman Khan? The Arms Act was filed against Salman Khan for allegedly keeping and using firearms with an expired licence while poaching of blackbucks in 1998. What is outcome in Arms Act Case against Salman Khan? Salman Khan was acquitted in the Arms Act case in January 2017. 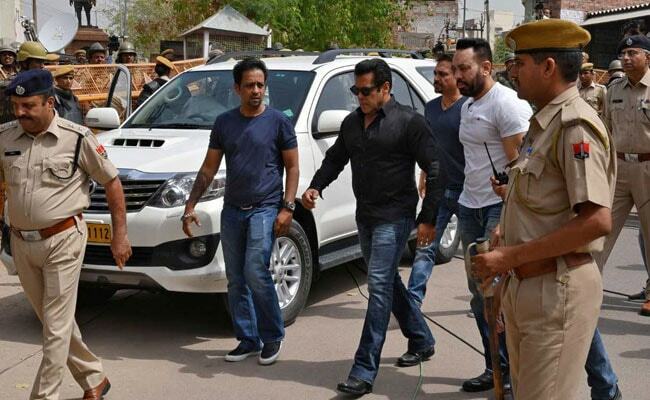 What is Chinkara Poaching Case against Salman Khan? Salman Khan was accused of killing an endangered species of gazelle or chinkara in two separate incidents in 1998 while he was shooting for the movie "Hum Saath Saath Hain". What is outcome of Chinkara Poaching Case against Salman Khan? Salman Khan was awarded a one-year prison term and a five-year prison term in two separate instances of chinkara killing in 2007. He spent a week in jail in Jodhpur before being granted bail. The Rajasthan High Court in July 2016 acquitted him of all charges. What is hit-and-run case against Salman Khan? In 2002, the actor was accused in the hit-and-run case when his car reportedly ran into a bakery in Mumbai, killing one and injuring four. What is the outcome in the hit-and-run case against Salman Khan? Salman Khan was sentenced to five years in prison for running over five homeless men, one of whom was killed, in May 2015 by a sessions court in Mumbai. The High Court, however, in December 2015, acquitted him of all charges. The court said the prosecution had failed to establish that Salman Khan was driving and was drunk at the time of the accident.